There is quite a bit of concern and discussion about operating a Lithium powered Ranger EV in cold temperatures. This thread is being started in the expectation that we can gather our collective experiences and knowledge in one spot so others can benefit. Please keep your posts to this thread focused on Lithium battery packs for the Ranger EV. With Lifepo4 pulling high current at or about 0c can cause long term capacity reduction. Its supposed to be caused by copper being plated into the carbon matrix, into which the ions / charge move through the cells. So the trick is to limit this condition, ie get them warm before you use them. They also take less charge when at or about 0c so when you charge, again do it when the pack is warm, ie just finished using it. So ultimately its about keeping the pack warm ie above 0c by a few degrees, when charging, and before you use it. When starting off in the cold conditions, use the vehicle at as low a load / performance as possible give the pack some time to warm through having power flowing through it. Threat the pack gently, long life is somewhat dependant on you treating it kindly. I have not heard that one before. Do you have a reference on the chemistry behind it? 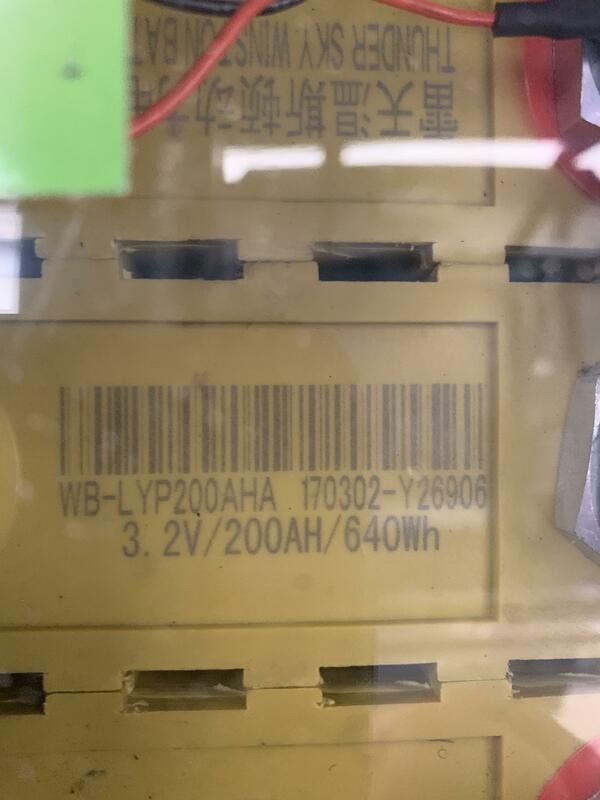 Is it LiPo, or LiFePO4, or pretty much any lithium chemistry? I ran my pack for a bit at -26C. The pack started out fully charged, and was not happy about moving the Ranger at all. I got the 'jitters' ... where it surges a bit as you press harder on the throttle ... at under 3 mph. As I used some energy and the pack warmed up a bit, the 'jitters' happened at higher speed. After I got it into the heated garage and left it over night, the pack was still at 54V. So not FULL but over 80%. It took a bit of a charge, but not too long. What Jack over at EVTV explains is that, during charging below 0C, the lithium metal plates out of the electrolyte. So charging is doing permanent damage at that point, since the lithium is no longer available to exchange electrons. I went through his footnotes for the published papers and could only see the summaries without paying. But it seemed to check out. This is sort of consistent with my buddy's Mitsubishi Outlander hybrid. It has NO regen braking until the battery warms up. And youtube ... as much as you can trust youtube information ... has many stories of no regen on Teslas when they are cold. My charger (DeltaQ) won't charge at all unless the pack is at 10C or higher. I think that's a bit paranoid, but I guess they don't know where the temperature sensor will be installed, or how accurate the sensor is. As far as charging lithium ion cells, in your case, they are enforced by the BMS to not permit charge below freezing temperatures because of the reduced diffusion rate of the anode, which could cause thermal runaway if current demand increases while the internal resistances of each cell also increases. The safest operating temperature range while charging is around 41˚F-113˚F. Anywhere below 64˚F and the BMS according to your profile settings will start reducing the Charge Current limit by 14 amps every degree Celsius drop or 1.8˚F. In my Ranger VLi when operating in temperatures below 50 F (10 C) I apply power carefully and avoid high amperage draws. The Lithium as well as PbA packs are chemical reactions and are sensitive to temperature. I think it is important to remember that there can be Technically Identifiable issues that do not really translate into Practically Experienced problems. Is the service cycle life of the pack reduced by using it in temperatures below 50F? Technically yes. By how much? Practically, I expect that I will not detect it. Last edited by JackA; 01-25-2019 at 10:58 AM. Voltronixs uses LiFePO4 cells, right? 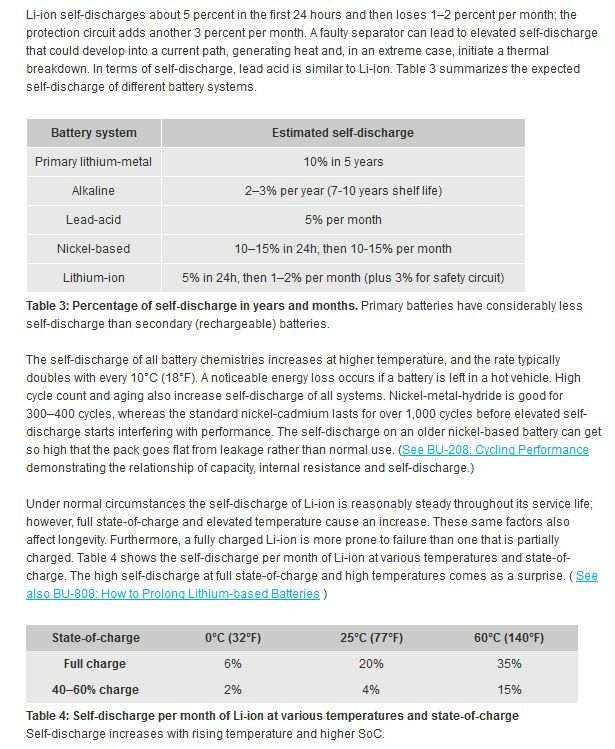 Interesting specification is self discharge at "normal operating temperature" I think a Ranger EV Li can be safely stored over the four months of winter cold without being recharged. If 100% SOC at start after 160 days the pack would be at about 82% so deduct some for cold weather and I believe winter over is possible without harm. I am seeing no loss of capacity over a year with a 4-cell pack. I didn't really intend for the test, but I didn't happen to use that pack. Jack over at EVTV has some LiFePO4 cells that were purchased and just stored in his shop for several years. He checks them once in a while and reports the voltage. It fluctuates a bit, but I think that has more to do with temperature than state of charge. IE - no loss of charge. He has sold a couple of these old batteries, when someone kills one in a pack and needs to replace it. These old cells that were never in service do appear to have lost some capacity, but not really lost any charge. I can confirm that used/surplus cells that I cycled to determine capacity, matched the capacity to put into 12V packs, and then charged to about 3.2V ... measure about the same when checked each month in my heated garage. I know that voltage is not a great way to estimate 50% soc but it's also about 70 a-h on a 140 a-h cell. Which started out life as a 160 or a 180 a-h cell in 2013 or 2014. So I guess I'm going to ask if there are parasitic loads on the ranger that may use the energy from the pack. I am not aware of a chemical method for the LiFePO4 batteries to lose charge while not supplying a load. Lead acid cells have a well documented self-discharge chemical path. So am I just poorly informed? My Ranger EV Voltronix Li has a BMS that is always powered so there is consumption of power. 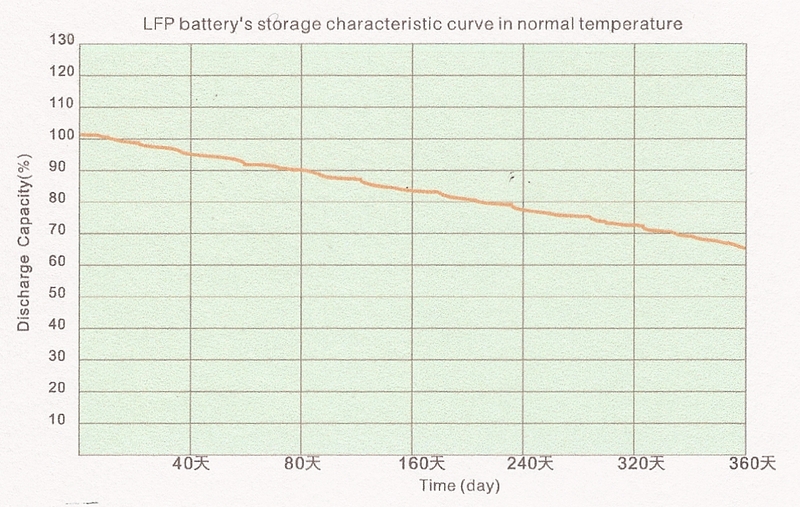 According to "Battery University" LiFePO4 and all the Lithium chemistries exhibit self discharge. The rate of self discharge is correlated with pack temperature.